BIG NEWS! iMPC Pro has been submitted to the App Store! Apple is reviewing it now, and as soon as it's approved, we'll release it! 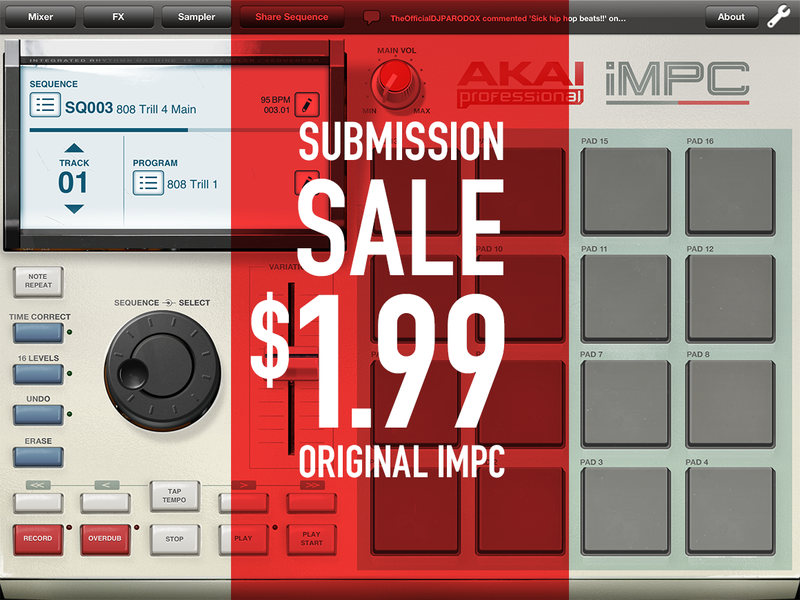 We're celebrating with a sale on original iMPC. Get in on the legend for $1.99, limited time. We're also extending the Submission Sale to Tabletop devices. 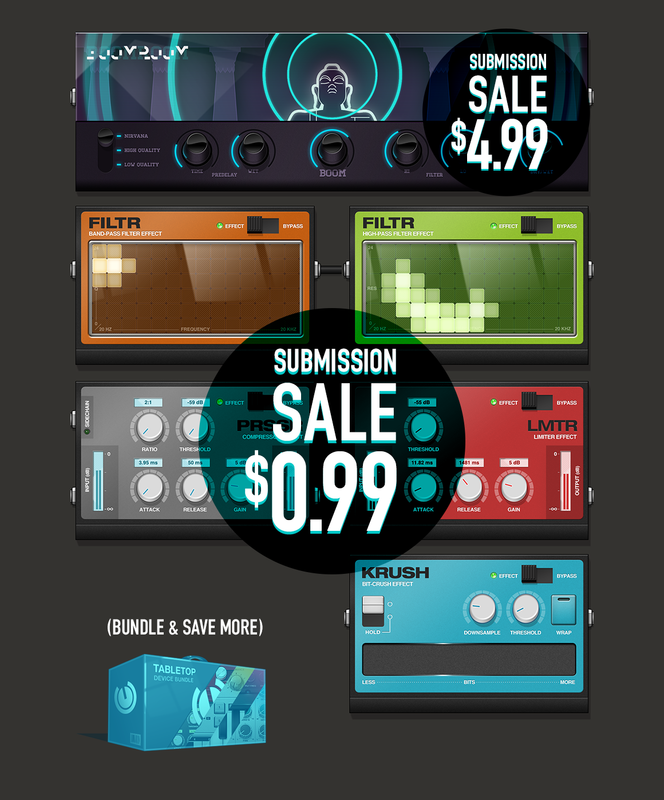 Save on classic effects including the infamous Boom Room — use the reverb effect found in iMPC Pro now in Tabletop. Bundle pricing also reflects the sale prices, so as always the Device Bundle is your best bang for the buck.